1. Tell us how many miles you made it up your mountain (# of books read). If you’ve planted your flag on the peak, then tell us and celebrate (and wave!). Even if you were especially athletic and have been sitting atop your mountain for months, please check back in and remind us quickly you sprinted up that trail. And feel free to tell us about any particularly exciting adventures you’ve had along the way. I signed up for 24 books (Mount Blanc) and managed to read my 24th book in August. Overall, I finished 31 books from my TBR. Waves! List of books I finished for this challenge. Most exciting was to finish Kage Baker’s the Company series. I also really enjoyed the Buffy book (Spike & Dru: Pretty Maids All in a Row) and N. K. Jemisin’s Killing Moon. 2. 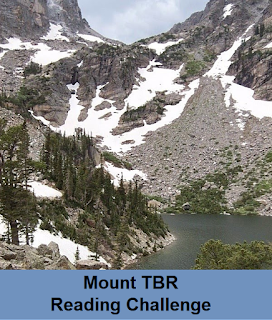 My Life According to Mount TBR: Using the titles of the books you read this year, please associate each statement with a book read on your journey up the Mountain. 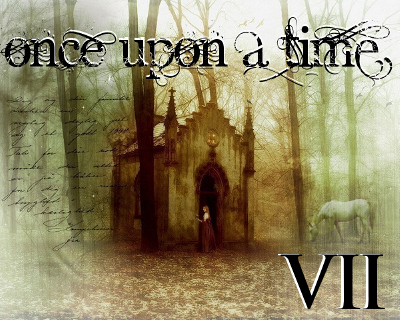 Thursday, March 21st begins the seventh annual Once Upon a Time Challenge. This is a reading and viewing event that encompasses four broad categories: Fairy Tale, Folklore, Fantasy and Mythology, including the seemingly countless sub-genres and blending of genres that fall within this spectrum. The challenge continues through Friday, June 21st and allows for very minor (1 book only) participation as well as more immersion depending on your reading/viewing whims. It’s high time for me to finish a couple of fantasy series I’ve enjoyed a lot so “Burn the Night” by Jocelynn Drake and “Con and Conjure” and “All Spell Breaks Loose” by Lisa Shearin are on the list. A wolf at the Door by K. A. Steward is the third in the series. Blue Magic by Dellamonica is the second in the series. Of course, I have lots and lots of other fantasy books to read. I’m going to join one more challenge. Instead of joining a challenge where I’m encouraged to start a new series, it’s going to be Finishing the Series Reading Challenge 2013 hosted by Socrates’ Book Reviews. I’m going to choose Level 3 with five series. I managed to complete all five series! The Science Fiction Experience is here again! And so I officially welcome you to The 2013 Science Fiction Experience, which runs from January 1st, 2013 through February 28th, 2013. The “rules” of the experience are simple: there are none. Remember, this isn’t a challenge. If you would like to join us in discussing any science fiction reading or television viewing or movie watching you do over the time period, please do. Although signing up isn’t required, nor is posting your reviews, I do like to be able to keep up with folks who are participating, so there will be a Mr. Linky at the end of this post and there is a Sci-Fi Experience Review Site for you to link any SF-related posts of any kind that you would like the other participants to check out. Again, this doesn’t have to be entirely book related. It really is about experiencing science fiction (and even non-fiction having to do with space or technology) of all kinds. I’ll be reading and reviewing a bunch of SF books during the next two months. 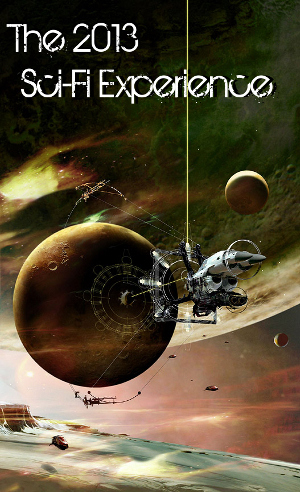 I had such a great time last year with the Science Fiction Reader Challenge that I’m going to join it this year, too. The categories are a bit different but that shouldn’t be a problem. 1. The challenge begins January 1, 2013 and runs through December 31, 2013. Books started before January 1 don’t count towards the challenge. Re-reads do count, but a new review must be written. Any format of book counts – hard copy, audiobook, e-book – we’re not picky. 2. A review has to be written and posted for each book in the challenge. If you don’t have a blog, they can be posted on Goodreads, LibraryThing, Amazon, Shelfari, Facebook, anywhere else book reviews are accepted and can be linked to. 3. Any books read for another challenge that fit into a category here can count towards this one. 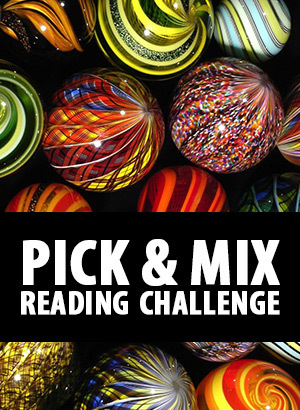 One book, however, cannot fill multiple categories in this challenge. For example, Orson Scott Card’s Ender’s Game technically fits into at least four of the categories. It can only count for one though. 4. A post will be set up on Working for the Mandroid beginning January 1 for participants to add their review links. I personally will put up a post at the end of each month to track my own progress. That’s where you can comment, brag and/or complain about how impossible it is to get through The Time Machine. * Hopefully I will have my act together enough to get the posts up on the first of each month. Feel free to shame me if I don’t. * I have actually read The Time Machine and while it is… odd, it’s not that hard to get through. Give it one more try!